For backpackers and day hikers, this model is a packing cube dry bag hybrid. Planning a hiking trip somewhere notoriously wet and rainy like Olympic National Park? The Osprey UltraLight is a great way to stash your clothes inside your backpack. Water-repelling fabric and a tight roll-top closure system will give your gear the added "just-in-case" protection that might be the difference between happy feet and soggy socks. Weighing in at only 1.6oz, its perfect for backpacking trips. The only downside to this product is the thin, delicate fabric. Shaving ounces also costs durability, and this product absolutely requires the protection of an outer pack. For another sturdier and significantly more waterproof option, the Sea to Summit eVent Compression is the perfect model for sleeping bags and down jackets. If you're looking for a stand-alone product that offers more durability, the Sea to Summit Big River will serve you better for water-based activities. The Osprey UltraLight is made of 40D nylon ripstop. The 20L size we tested is 17-inches tall x 10-inches wide x 6-inches deep. This flat-bottomed rectangular bag features a classic roll-top reinforced with a stiff plastic lip and has a total volume of 20-liters. This super lightweight model provides bonus protection for your clothes inside your backpacking pack. This metric makes or breaks a dry bag's performance scores, and the UltraLight did astonishingly well in this category. Especially considering the small hole it sustained prior to our more rigorous testing! Full-on sustained submersion did allow water to creep into the interior, but only a few small patches of our testing towel got wet. Our gear was quite a bit wetter after it was dragged through the lake, but the contents were far from soaked. Even with a puncture in the bottom, only a few small spots on our testing towel were wet after full submersion. The Sea to Summit eVent Compression is the only other backpacking specific model we tested that outshone the UltraLight in this metric but is not as well suited for clothing. For absolute water protection our Editor's Choice, the Watershed Colorado Duffel stays dry no matter what the weather brings. The UltraLight looks a lot like your typical packing cube. Its rectangular shape and square bottom make it easy to neatly pack folded layers. Unlike more traditional packing cubes, however, it doesn't zip down the sides, and the top only entry makes it slightly less convenient for retrieving the internal contents. The flat bottom and rectangular shape make it easy to pack full of layers. There are no special features to assist carrying this model, but its also necessary to carry it inside a larger backpack for protection. For a watertight stand-alone model, the SealLine Black Canyon Boundary Pack serves as the entire backpack. The classic design of the UltraLight also makes it a poor choice for a sleeping bag. Stuffing a bag inside and compressing the air out is no easy feat. The Sea to Summit eVent Compression has specific features that make it excel at exactly that. The most remarkable feature of the UltraLight is the small webbing loop at the bottom of the bag. It provides a small, yet sturdy handle to extricate this model from a well-stuffed backpack. The Outdoor Research Ultralight Dry Sack offers no such feature and requires two hands to slide out. The small loop of webbing at the bottom creates a pull tab for fishing it out of your backpack. It has a standard roll-top design with a lip that is reinforced with plastic to help give it shape when rolling. It also features a single small D-ring at roll top. Since this model is meant to be stored inside another pack, we didn't miss more robust lash points. If you plan to fix your product to a watercraft, the YETI Panga 50 has six super sturdy nylon lash points. 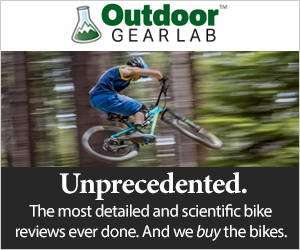 Unfortunately, this metric is the UltraLight's undoing. Reducing weight also means thin material. Our product sustained a small puncture-like tear in the bottom early on in our testing. How and when it sustained this casualty is unbeknownst to us, but no significant force was rendered. A small puncture tear formed early on in testing. If durability is the name of your game, the YETI Panga cannot be beaten. If you're hoping to stick with a smaller product, the Sea to Summit Big River is a few steps up. The UltraLight serves as a great water-resistant packing cube. Its lightweight and aptly shaped for containing layers inside a backpacking pack. While it doesn't guarantee absolute protection from water, it provides some security just in case water seeps through your outer pack. If you truly need a watertight backpack, the SealLine Black Canyon Boundary offers more comprehensive protection. For traveling, the duffel style YETI Panga will keep your gear safe and dry. At $22.50, this model is priced in the mid-range amongst standard packing cubes that offer zero protection from the elements. We're pretty sure you'll think its a great deal when you pull on a warm and cozy pair of dry socks before you crawl into your sleeping bag. The Osprey Ultralight was by far our favorite ultralight competitor. The Osprey UltraLight offers modest protection from water and helps assure you will have a dry change of clothes at the end of a long day hiking. It's lightweight and designed just right to serve as a great backpacker's packing cube. REI $13.00 - 42% off! Backcountry $13.00 - 42% off! MooseJaw $13.00 - 42% off!